Google's second-generation Pixel mobile phones are able to take "portrait mode" photos via both their front and rear single-lens cameras, Owojela’s Blog learnt. Other handsets have been able to auto-blur image backgrounds for some time, but they typically rely on using two-lens cameras on the phones' backs to create realistic effects. Google said its innovation meant it could make more space for the battery and introduce front-facing speakers. But it has dropped the headphone jack. Instead of using a dedicated 3.5mm port, users will either need to use wireless headphones - Google is selling a pair called the Pixel Buds - or the USB-C charging socket. At the launch of the original Pixel phones, the search firm had mocked Apple's abandonment of the traditional socket and made a virtue of its opposite strategy. A spokesman defended the U-turn saying Pixel's engineers believed USB-C had "matured as a standard" over the past year. 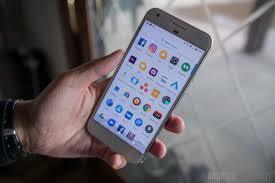 About 2.8 million units of the original Pixel phones have shipped since their launch a year ago, according to research firm IDC, representing just 0.5% of the wider smartphone market. Sales were in part limited by the firm's inability to make enough of the devices to meet demand. Google said it was producing the Pixel 2 and larger Pixel 2 XL models "in greater numbers". But one expert questioned whether it had done enough to pose a serious challenge to other Android phone-makers. "Launching a device in a region such as Western Europe, requires support to 50-plus operators and 70-plus retailers," said IDC's Francisco Jeronimo. "Google will have to put in place a massive sales and marketing organisation to be able to compete with Samsung and Huawei." The Pixel line-up is in part an effort to make sure consumers are always offered the latest version of Android. The phones are guaranteed the latest release as soon as Google makes it available, for at least three years - unlike other brands. However, the tech giant was also keen to promote several unique features at its San Francisco launch. The single-lens portrait mode photos were made possible by its adoption of a dual-pixel sensor - meaning each pixel can be used to both record the image and determine focus rather than just one or the other. Some of Samsung's handsets already feature the technology, but Google has built on it with proprietary software to make it possible to create a depth map for photos, which can be used to add special effects. An added benefit of this approach is that the new phones' front "selfie" cameras can also use portrait mode. And in the months to come, Google intends to make use of the depth information to let users add advanced augmented reality characters to their images. Another new feature is the ability to summon the Google Assistant artificial intelligence helper by squeezing the handsets' sides. The firm suggested this made it easier to activate, adding that it had trained the software to only pay attention to deliberate squeezes. In addition, the OLED (organic light-emitting diode) screens now automatically show the name of a song if it is heard playing in the surrounding area. The Shazam-like feature relies on a database of tens of thousands of tracks downloaded to the device in advance. This avoids seeking a match via the internet, which would have sapped the battery more quickly. The new phones are between 4% to 11% more expensive than their predecessors in the UK, depending on the configuration. The 5in (12.7cm) version starts at £629 and the 6in (15.2cm) model at £799. Last month, Google agreed to pay $1.1bn (£828m) to HTC to hire 2,000 of its engineers, many of whom had been involved in the new handsets' creation. One expert suggested the firm now faced a tricky balancing act. "The challenge for Google is that if it starts prioritising new features and capabilities on its devices, it risks antagonising very important partners like Samsung," commented Ben Wood from CCS Insight. "And what is more important to the greater good of the Google empire? Is it the reach that Android has or is it Google's desire to have its own hardware platform?"